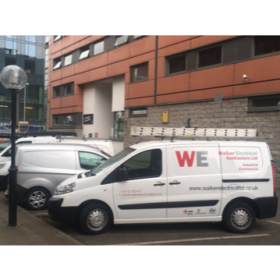 A purpose-built student accommodation located close to the campus of the University of Manchester required an energy efficiency upgrade. 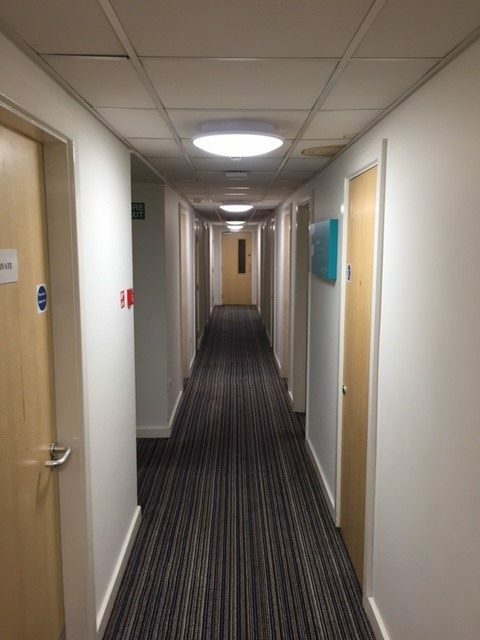 This included the installation of new internal and external LED lighting with absence detection in communal areas, dimming to 10% on stairs and corridors and switching off in bedroom corridors. Heaters to all rooms with pre-set tamperproof thermostats across the 9 Floors of the residential area. Having worked with Liberty Living on many projects, we understand that many students often don’t have an “off-switch” and through installing all new energy efficient equipment, we were able to create a safe living and working environment for all students whilst delivering a substantial energy cost saving to the client. 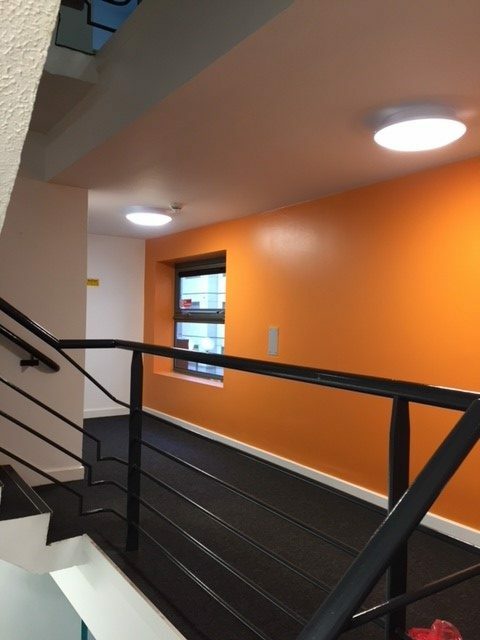 Shared areas within student accommodation present one of the most important electrical considerations, the fixtures we installed provide comfortable lighting solutions that are essential to the safe functioning of the shared space. 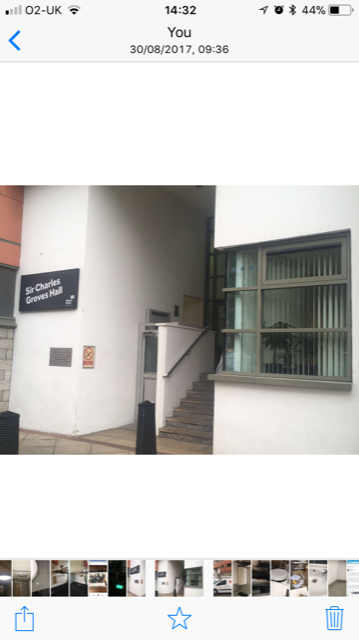 All works were undertaken in a live environment with students having full occupancy and access to all areas throughout the works. We enhanced the energy efficiency of the building through the introduction of efficient LED lighting and absence detectors throughout the project. 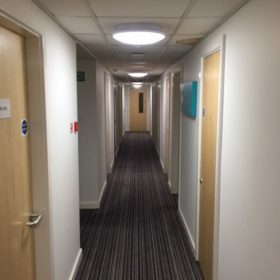 Absence detection offers a safer solution to lighting in university accommodation, as anyone in these shared areas will trigger the lights, preventing slips, trips and falls in dark rooms. 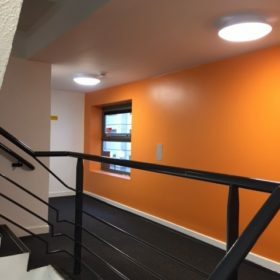 Light fittings can be set to dim down to 10% rather than switching off, providing a safe level of minimum illumination at all times. 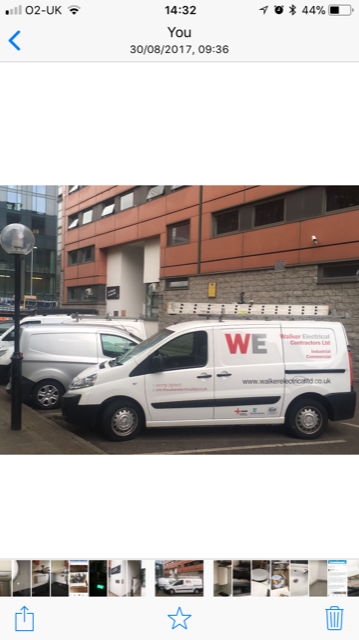 Energy Efficiency was further enhanced through the installation of heaters with tamperproof thermostats limiting to a realistic temperature. 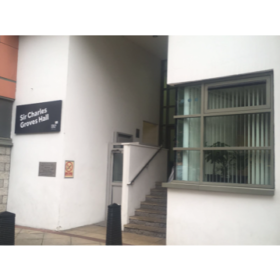 This entry was posted in Case Studies, Student Accommodation. Bookmark the permalink.